Just Another Day in Paradise! ...If There is Wind! From the looks of it, the 2014 Rockets from 115 to 135 will have new shapes. I guess there standard construction is now called CED? Marketing I guess. I was talking with Matt Pritchard awhile ago and he told me that the newer rocket would not have as a pronounced double concave as the previous Rockets did. So sort of similar to their original Rocket from 05-06. Also what I like about the Rocket is that it doesn't have cut outs. I myself have always found cut outs to cause gybing to be more difficult and shouldn't be on a board made for complete freeriding. On the other hand, Starboard has put cut outs on their equivalent board so it doesn't interest me. I've always felt that the cut out shapes cause drag and would require some careful designing to make them work. None of the cut out shapes I've tried so far have excited me. But who knows that can change this year! From the looks of it, the Guru is based on the Rocket but in a heavier construction so the ding resistance would be beneficial to beginners. 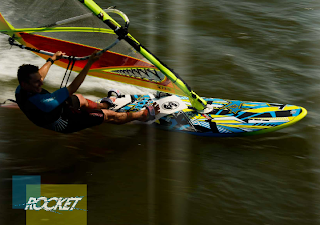 A beginner friendly Rocket shaped board seems to be a big seller in my books. Seems to be like what Fanatic has done with their Ray line; same shape as the Falcon but in a heavier construction. 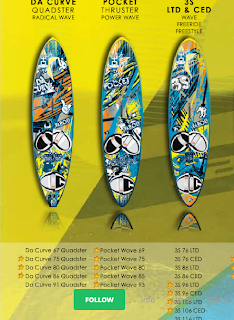 The other board that interest me in their 2014 line up is obviously the Manta. For me the Manta is easily one of the smoothest slalom boards I have ever tried though at the cost of some speed from my experience. In my own opinion, the speedster and thunder don't really interest me as I've always felt that I'd rather work out all the kinks in my form and technique before jumping to a faster board so I could fully utilize them. I feel that the FreeRace category encourages people (not all the time!) to get gear to go faster rather than relying on their technique. That's just me though! Sorry if I offended anyone! From the looks of it, Tabou was in a rush to release this brochure as there is barely any information on the Manta. 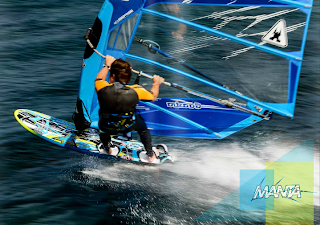 It looks like the Manta 71, 85, and 85 will be all getting new shapes. From what I can tell, they seem to be moving more towards a V instead of double concave on their Freeride/Race line up. I would have to see the board in person before I criticized the design change...but I will say the main reason I really liked the Manta was its deep double concave. Well not as deep as the HyperSonics but it was definitely there. For speed runs in my area, that double concave would be very nice as most of the time the "speed line" is pretty rough and choppy. Been sailing a lot lately! There Is a Light at the End of the Tunnel!! So There is Wind Here!